Our Sport and Exercise Science course will equip you with the skills to become a practitioner in the sport and exercise industry; either helping leading athletes to achieve their potential, or working with members of the public to achieve their goals. You will be taught in our recently extended £71 million City South Campus based in Edgbaston, Birmingham. The course explores the science of sport and exercise, considering how disciplines such as physiology, psychology and biomechanics can be applied in the context of sports performance, physical activity, health and wellbeing. You will study a range of discipline-specific and multi-disciplinary modules, equipping you with a diverse range of perspectives that will enrich your learning and enhance your career opportunities. It won’t just be about sport - you'll be looking at different aspects of health and people at opposite ends of the health spectrum. Sport and exercise is a large and expanding global industry and levels of fitness and participation in physical activity are significant issues on the political agenda. Therefore, you’ll be trained to respond to the challenges facing society today, by exploring the profession and it's disciplines in encouraging and supporting greater physical activity. Endorsed by the British Association for Sport and Exercise Science, the professional body for sport and exercise science, our practice-led course is full of relevant, fresh information and insight that you can take into the work environment and make a positive contribution to modern society. There will be live projects to work on, as well as optional work-based learning experience, enabling you to gain first-hand experience and build your knowledge. You'll have access to our dedicated physiology and biomechanics laboratory, where there will be an array of state-of-the-art equipment and cutting-edge resources. There will be the opportunity to engage in international exchanges, as well as trips and visits that will aid your course. Work will be both practical and lab-based, giving you the best of both experiences; supporting your development to work out in the sporting environment, in fitness settings, or conducting lab-based research. This course is accredited by the British Association for Sport and Exercise Science (BASES), the professional body for such subjects. This will ensure our course is fresh and relevant, as well as creating valuable industry links and knowledge. A minimum of 5 GCSEs, including Double Science, Mathematics and English Language at Grade 4 (formerly a C) or above. No equivalents can be accepted. A Level: To include one subject in Biology / Human Biology / Chemistry / Physics / Physical Education / Applied Science with minimum Grade C. A typical offer would be BBC. General Studies not accepted. Access to HE: 60 credits overall. Minimum of 45 credits at level 3. The remaining 15 credits can be taken at either level 2 or 3. Within the level 3 credits, a minimum of 24 must be achieved at merit or distinction including 18 in science or health subjects. Must have Mathematics, Science and English Language GCSE at 4 or equivalent prior to application. BTEC Extended Diploma: in Sport and Exercise Science, DMM (no other BTEC Extended Diplomas are acceptable). BTEC Diploma: in Sport and Exercise Science, D*D* (no other BTEC Extended Diplomas are acceptable). This module aims to explore the wide-ranging activities of practitioners working in the sport and exercise science industry to enable you to appreciate the inter-disciplinary nature of professional practice. You will be introduced to the skills and knowledge required to work within the disciplines of physiology, nutrition, psychology and biomechanics, and how practitioners from these areas can work collaboratively to solve a variety of problems related to sports performance, exercise and health. This module aims to provide you with the underpinning knowledge of various physiological systems in the human body, and key training principles, which relate to sport and exercise. You will be introduced to the concept of the body working as multiple interrelated physiological ‘systems’. This module is a key part of the BSc Sport and Exercise Science, Sports Therapy, Sport and Exercise Nutrition, and PE and School Sport Programmes in that it is studied in preparation for your Level 6 Final Year Project. Information and activities on more complex inferential statistics will be presented building on from your level 4 research module. This module aims to develop your knowledge of the most common psychological processes in sport and exercise and will help you recognise situations where psychological frameworks may be useful in sport and exercise. Within this module students will learn about a range of pedagogical practices which bring about high quality PE lessons where students are physically active for sustained periods of time. Students will identify the key principles of high quality teaching practice and relate these to practical experiences of teaching PE and sport. This module aims to develop the skills required to coach and evaluate training methods in strength and conditioning. You will examine contemporary training theories and successfully apply the principles when coaching athletes. This module aims to develop your understanding of exercise referral. It aims to specifically develop your understanding of assessing, monitoring and managing risk to clients arising from exercise participation throughout the referral period. In order to complete this course a student must successfully complete at least 20 credits from the following list of OPTIONAL modules for SEMESTER A. In this module you will build upon your knowledge acquired in level 5 Sport and Exercise Physiology and Nutrition. This will include applying both theoretical and practical knowledge on how different environments affect human physiology in reference to both sports performance and health. In particular, this module considers the human capability to exercise in, tolerate, and adapt to, the conditions encountered in various environments. There will be a special focus on how hypoxic training methods can be used to enhance training adaptations. Some of the environments covered include hypoxic, hot, cold, and humid conditions. Within this module students will learn about a range of psychological and theoretical frameworks which support physical activity behaviours. Key principles promoting a healthy and physically active lifestyle from a psychological and practical perspective will be taught. This module is underpinned by the need, as a developing PE and school sport practitioner, to be aware of the wide range of psychological influences present when working within a PE and school sport environment. The range of teaching theories will be applied in practice so that students are able to experience and apply theory in real-life situations. This will provide the opportunity to reflect on best practice when completing work placement modules. In order to complete this course a student must successfully complete a further 20 credits from the following list of OPTIONAL modules for SEMESTER B. This module aims to further develop your understanding of the psychological aspects of development and progress in sport. The module also explores the various ways this topic is researched. The underlying aim of the module is to contribute to your development as a more thoughtful and effective sport scientist. It will equip you with a range of strategies and tools for investigating the psychological aspects of athletic development. This optional applied module will enhance your interdisciplinary knowledge and understanding of sport science or exercise science. The module aims to develop some of the skills you will require to work in a sport and exercise setting. You will undertake a 12 week ‘case-study’ where you will provide advice and support to an athlete, team or health-based client. The case study aims to allow you to critically analyse a sport or individual, and interpret and synthesize data so it can be communicated in a way that is understandable to a coach, client or practitioner. You will also have the opportunity to develop essential communication skills. You can choose from a range of discipline-specific and multi-disciplinary modules, equipping you with a diverse range of perspectives that will enrich your learning and enhance your career development. The sport and exercise science degree course has been co-designed with employers, ensuring you receive up-to-date and useful information, and you’ll also have the opportunity to engage in work-based placements, applying theory to practice and enhancing your employability prospects. There will also be live industry case studies as part of the core assessment diet. All of our sport courses will provide additional, employability based qualifications at the same time as your course, building your knowledge and improving your prospects. For this course, you could gain REPS fitness qualifications, providing you with the skills and knowledge you need to become a personal trainer. The modules involved will cover the core disciplinary areas required – physiology, psychology, biomechanics and nutrition. This course is accredited by the British Association of Sport and Exercise Sciences. Within the course, there will also be the opportunity for international exchanges, as well as trips to sporting locations across Europe. You could progress on to a Masters course, including our new MSc Sports Therapy, or move into a teaching-based qualification, such as a PGCE. Alongside international exchanges, there will also be the opportunity to take international trips, taking mobile kit out and conducting tests and exercises in different climates and cultures. Sport and Exercise Science covers a wide range of roles, sectors and challenges, giving you a wide range of career options upon graduating. Placements and live case studies, provided by existing sports teams and organisations, will increase your job prospects. Our partnerships with Warwickshire Cricket Club and Sport Birmingham will provide you with the opportunity to undertake valuable work placements. 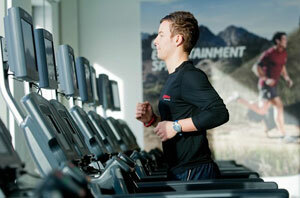 You'll be able to gain first-hand experience, assisting with fitness testing, lab-based research and exercise regimes. Sport Birmingham works with sports coaches and staff, so you’ll be working alongside trained professionals who can impart advice and guidance. You could also undertake placements with professional sports teams, organisations and education facilities. Upon graduating, you'll have the opportunity to enter a number of exciting and relevant job roles. Career opportunities include sport and exercise science support, health and fitness industries, professional sport, sport coaching, sports development and the armed forces. Our staff have PhDs in the key disciplinary areas of physiology, biomechanics and psychology. They also have incredible industry links and a wealth of experience, and often continue to work in their specialist areas. Richard is the Course Leader for the BSc Sport and Exercise Science. He previously worked at St Mary’s University for eight years as Programme Director for the BSc Strength and Conditioning Science, where he also managed the sport science support to The Royal Ballet Company in London, and was Lead Strength and Conditioning Coach for Sport and Health Services. Following seven years in an applied environment at Exeter City Football Club working as the Head of Academy Sport Science, Adam moved into the academic realm to facilitate his desire of becoming a world-leading expert in skill acquisition and sports coaching. Currently, he is a Lecturer in Sport and Exercise Science, whilst acting as the department's Work-Based Learning Coordinator here at BCU. Adam is also a PhD Research Scholar at the University of Exeter, investigating the talent identification and development process in an English football academy, joint funded by the University, Open Innovation, and Exeter City Football Club. 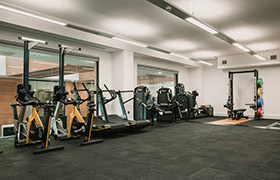 Since joining BCU in January 2018, Adam has become an Academy Coach at West Bromwich Albion Football Club, alongside actively engaging with other national and regional institutions that reside locally to support both student learning through work based learning opportunities and research purposes, including organisations such as Warwickshire County Cricket Club, Worcester Warriors Rugby Football Club, UK Athletics, and Kidderminster Harriers Football Club. Alongside seven projected publications from his PhD studies, Adam has been proactive in developing his personal research portfolio further, with relationships ongoing with Queens University in Canada surrounding ‘academy coach behaviours and player social interactions in youth football’, the Football Gene Project through ‘a multidisciplinary approach for using genetics for talent identification and development’, the University of Exeter regarding ‘RPE and HR loading in elite youth football players’, AFC Bournemouth focussing on ‘the effect of pitch size and player numbers when applying bio-banding’, and Cardiff Metropolitan University concerning ‘the effect of bio-banding on the psychological and physical returns compared to chronological age grouping’. An example of his recent achievement as a researcher includes six successful abstract submissions, where he has presented at the European College of Sport and Exercise (ECSS) Conference in Germany, the British Psychological Society – Department of Sport & Exercise (BPS-DSE) Conference in Glasgow, the Expertise and Skill Acquisition Network (ESAN) Conference in Coventry, and the International Coaching Conference (CRiC) in Cardiff during 2017. Another two presentations, including the Movement & Skill Acquisition Ireland (MSAI) in Cork and the ECSS Conference in Dublin, took place in 2018. His professional and academic qualifications include BASES accreditation as an Interdisciplinary Sport and Exercise Scientist, Associate Fellowship of the Higher Education Academy (AFHEA), the FA Advanced Youth Award (Level 4), MSc Sport and Health Science, and BA (Hons.) Football Studies. He also has ongoing CPD through engaging in British Psychological Society (BPS) accreditation, the PGCert (HE), Fellowship of the Higher Education Academy (FHEA), and the FA UEFA A Licence.